Kane Hodder jokes about his favorite chokes with RavMon while promoting Hatchet III at the Mad Monster horror convention (video below). The horror heavy weight talks about his new favorite kills and weighs in on who would win in a fight between disfigured, sociopathic swamp man Victor Crowley from Hatchet III (now playing in select theaters and available on VOD) or the over grown momma’s boy in a hockey mask: Jason Voorhees. When it comes to which horror icon would come out victorious in an all-out brawl, it’s a tough call for any slasher fan or horror movie nerd. Both murderous monster men are water-based killers, Jason hailing from the pits of a Jersey pond and Victor lurking from within the depths of a Louisiana swamp. They have near equal brute strength to wield their bludgeons, and they possess about the same threshold for repeated physical punishment. 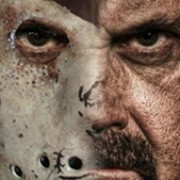 However, the man who made both horror legends come to life, Kane Hodder has a simple answer as to which savage slasher would go to hell in pieces after a hatchet-to-machete, face-to-face kill-off. His answer may surprise you along with how fast he kills this writer’s dream of becoming a professional horror stuntman. 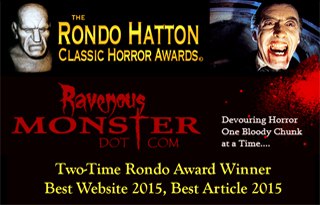 Check out the video, Horror Fans…. Days of the Dead Chicago 2014: I Survived!